Covidence is Cochrane’s new online systematic review production tool, and is free to use for Cochrane authors. Covidence supports import and deduplication of citations, abstract and full text screening, risk of bias assessment and data extraction, and export of data directly into RevMan or Excel. 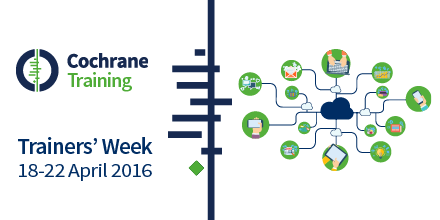 This webinars originally part of Cochrane Trainers' Week 2016, is an opportunity to learn about the resources available and best methods for providing training sessions on the Covidence tool. The session is presented by Anneliese Arno, the Community Manager at Covidence. You can find out more about Covidence at the Covidence website here. Information on how to get a set of materials for use in training is available in Covidence's Knowledge base. For more complex reviews, Cochrane also provides free access to EPPI-Reviewer, another review production tool that enables screening, critical appraisal and analysis, including more complex features like qualitative analysis and text mining. You can find out more about EPPI-Reviewer at our Cochrane Learning Live webinar in July.